Developing drugs and vaccines to prevent infectious diseases is a difficult task today. With the mass movement of people and changing climate constantly altering the nature and spread of pathogens, infectious diseases themselves are a moving target, . Moreover, the world is facing a crisis of antimicrobial resistance and drugs being rendered ineffective by mutating and adapting pathogens. 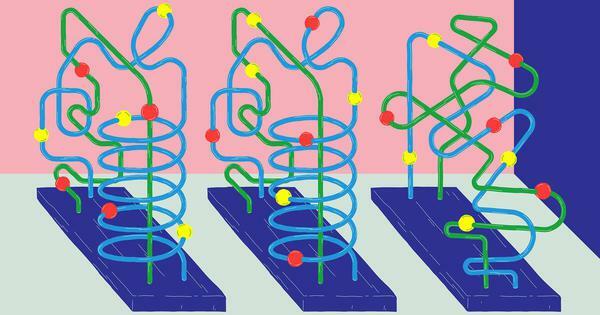 Medical researchers around the world are looking for more precise, more cost-effective and faster ways of developing medicines. Many countries have started Controlled Human Infection Model or CHIM studies, which involve infecting consenting healthy human volunteers with well characterised, weakened pathogen strains under controlled conditions. This allows researchers to monitor the trajectory of infection and seek out the best ways of preventing it. In about 70 years, more than 20,000 volunteers in the United States and Europe have taken part in CHIM studies. There are currently 150 CHIM trials registered globally. They are less than 1% of more than 100,000 clinical trials being conducted around the world. There is no regulatory framework on CHIM studies in India. Clinical trials in India have been poorly monitored resulting in several instances of people with weak economic and educational backgrounds being exploited. At the same time, CHIM studies could accelerate the development of much-needed drugs and vaccines that are tailored for the Indian population. The Indian Council of Medical Research and the Department of Biotechnology are in the process of consulting medical scientists, medical ethicists and health activists on allowing such research. Dr Gagandeep Kang, executive director of the Translational Health Science and Technology Institute, which an autonomous institute under the Department of Biotechnology, spoke to Scroll.in on various factors to be considered regarding CHIM studies in India. Here are edited excerpts of the interview. What are Controlled Human Infection Model studies? Controlled Human Infection Model or CHIM studies involve the intentional infection of a consenting healthy human volunteer with a well characterised, attenuated strain of an organism under controlled conditions. How should a CHIM study ideally be conducted? The natural history of the infection, virulence, persistence in the body, and the possibility of secondary infection should be well known. The strain that is used for infection should be an epidemiologically relevant strain manufactured under Good Manufacturing Practice conditions. The model should reasonably approximate the route of infection, the spectrum of disease in humans and endpoints of the study, while maintaining volunteer safety. Volunteers are meticulously screened and undergo a battery of tests and counselling under strict exclusion and inclusion criteria. The volunteers are carefully monitored by trained health professionals and scientists, usually for a period of 10 to 14 days. Depending on the strain and location, volunteers are admitted, quarantined or followed on an outpatient basis. Depending on the model, volunteers will undergo a variety of tests and samples will be drawn daily. The volunteer may or may not exhibit mild symptoms of the disease. After this pre-defined period, for bacterial and parasitic infections, volunteers are administered treatment irrespective of whether they show signs of the infection. Due to the low virulence of the organism used, the symptoms rarely reach that of the full blown disease. There are differences between having a controlled infection and having the disease caused by an infection. In many challenge studies the models are carefully constructed to only reach the infection stage. For example, researchers studying the influenza virus in the US spray the virus into the noses of volunteers via a mist, created by an atomizer that only produces particles larger than 10 microns. These relatively fat particles can cause infections in the upper respiratory pathway but do not reach the lungs, where influenza virus can cause life-threatening pneumonia in a small proportion of those infected. 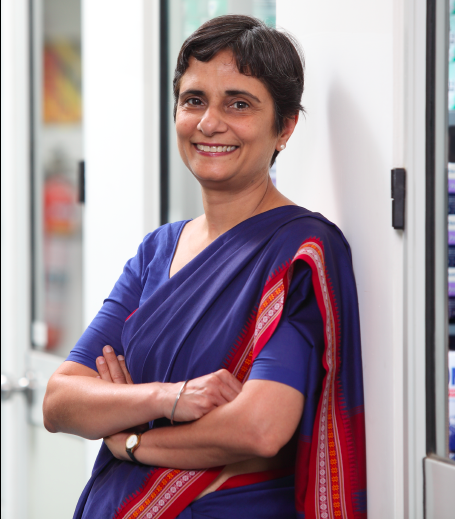 Gagandeep Kang, executive director of the Translational Health Science and Technology Institute. What do CHIM studies do that cannot be done by other kinds of studies and trials? CHIM studies are conducted to prove microbial pathogenicity, to determine host factors that contribute to infection, to define microbial virulence factors, to assess treatment protocols and the efficacy of naturally acquired and vaccine induced responses, and to evaluate – down or up-selection of – potential vaccine candidates. CHIM studies have led to important discoveries in host-pathogen interactions and has been used to accelerate vaccine and drug development, making the process more efficient and less costly. Not all CHIM studies are used for development of drugs or vaccines. Some are used only to understand disease better. What are the gaps in the current more widely used methods of developing drugs and vaccines? Research into vaccine development and disease pathogenicity continues to take place through pre-clinical testing in animals and clinical trials. Animal models have been successfully used for over 100 years but they are not always of predictive value for human response to drugs and disease as humans and animals are complex evolved biological systems. Testing the efficacy of vaccines in Phase 3 trials involves a large number of people. The current pace of scientific progress means there is a necessity to make things more precise, accurate and translatable. Despite large investments in drug development, very few drugs make it out of clinical trials to the market. One explanation is that animal models are often imprecise in studying human disease. The standard pharmaceutical development path for products that target pathogens moves slowly from studying safety, dosing, and biological responses in hundreds of people to an expensive efficacy trial with thousands of participants at high risk of becoming naturally infected. As you mentioned, the trial for the typhoid vaccine used in India was conducted in Vietnam in a population that is genetically different to populations in India. Could the vaccine therefore have lower efficacy in India? Vaccine trial results have been highly variable in different global regions, and sometimes promising results from high income settings have not been replicated in low and middle income countries . Differences in disease epidemiology are a result of multiple factors, including naturally acquired immunity, dietary factors, intestinal microbiota, environmental factors and the genetic profile of the host population. Locally significant disease information could make drug or vaccine development more likely to succeed in the populations that need such interventions the most. In the case of the typhoid trial in Vietnam bridging to the study in India where efficacy against disease was not evaluated, the genetic background of people who participated, the environment in which they lived and the vaccine’s conjugation process were different, making a direct linkage of the efficacy results possibly inaccurate. So, what are the advantages of CHIM studies? Human challenge studies, which only involve a few dozen volunteers, speed the process of deciding whether to scrap or pursue a promising lead, saving time and money. Human challenge models are a highly specialised, controlled, well defined and regulated group of studies. Due to the limitations of animal models, and large numbers of people required for testing vaccine efficacy in clinical trials, CHIM studies can be a less costly, more effective and safer option in specific cases. CHIM studies are not the only way to advance research but they are an important way to study infections that cause suffering and death to thousands of vulnerable individuals each year. Other models may emerge that are even more effective. Only time will tell how we progressively unravel the complexity of the natural world. What are the potential risks of CHIM studies – to individual volunteers and to the general public? Given that CHIM studies have been conducted for over 70 years, very few adverse effects have been reported from CHIM studies. This is mostly because the strain used is a well-characterised mild or attenuated strain. The studies are also conducted under very strict, well-defined protocols, after the study design is approved by regulatory bodies. The studies are conducted in specialised facilities with excellent clinical and laboratory services. The endpoints for CHIM studies must be consistently defined, and easily identified before the onset of any significant pathology, in order to minimise the risk to participants, and to ensure that clinical or scientific outcomes are assessed. In the United Kingdom, a typhoid challenge study in Oxford was conducted in an out-patient setting where volunteers returned home but had daily visits to the study centre for tests. In low and middle income countries like India, given the varied and often inadequate sanitation infrastructure and hygiene practices, there may be a need to quarantine volunteers for the duration of the study to prevent harm to the community by spread of bacteria. As with any other clinical trial, risks occur when regulations are not followed and when the study design and protocols are not robust. The ethical challenges inherent in human challenge studies means that strict exclusion and inclusion criteria for volunteers and truly informed consent by volunteers will be required. Volunteers should not be overly coerced by financial compensation. This might mean involving only highly educated and financially solvent volunteers who have autonomy over their consent. However, this is not to discriminate against or label those with a lower education. 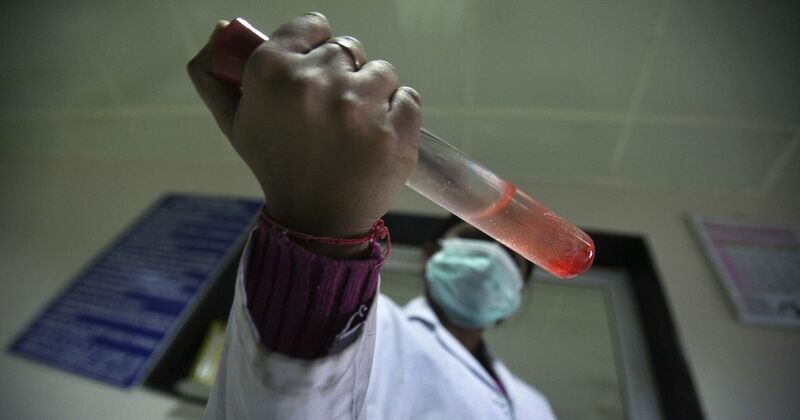 India has had many problems with clinical trials and the lack of monitoring. How will government agencies ensure that consent is informed and voluntary in CHIM studies? Currently, all of India does not carry out the highest quality clinical research, and there have been and probably continue to be issues in the conduct and the monitoring of research. But there are pockets of outstanding clinical research that have conducted very high quality studies that have led to products and strategies that have impacted the health of populations and patients in India, so to tar every clinical researcher in India with the same brush is inappropriate. Given the highly regulated environment in which successful CHIM studies have to take place, could raise the standards for clinical research in India. Ensuring true and autonomous consent of volunteers will have to involve a rigorous evaluation process and locally developed assessment tools. The deep involvement of social workers, psychologists and civil society groups will be necessary. However, it is important to remember that only a small number of people are involved in CHIM studies and an even smaller number of CHIM studies are conducted annually. In Kenya, the team conducts open town hall meetings informing people of CHIM studies. Out of 300 attendees, 63 consented to participation. After rigorous screening and counselling, 28 people were chosen for the study. The consent process took over two months and there was transparent communication with the community. There is no doubt that CHIM studies anywhere in the world require caution and have to be conducted in a highly regulated technical environment. What are the means by which public dangers (risk of bacteria from a CHIM study infecting people outside the study) will be prevented? As an overarching principle, CHIM studies in low and middle-income countries should be designed with a “equivalent international” standard, in which the study is conducted at least as well as it could have been done anywhere in the world. We could go one step further and say that given India’s checkered history with clinical trials, we would require higher standards than those employed by higher income countries. This will include processes of protection of communities from the infectious agents used in the CHIM—the methods of infection control depend on the mode of transmission of the pathogen and can be done in in-patient facilities that are set up to manage potentially infectious patients. India has had a problem of data transparency because of industry refusing to make clinical data public in the name of commercial secrets and even government funded trials such as the rotavirus vaccine refusing to allow other researchers look at their data. If CHIM trials are permitted in India, what steps will be taken (or do you advise must be taken) to ensure data transparency? During the first stakeholder meeting on CHIM studies in India, transparency of data featured highly in the discussions. Participants demanded unequivocal transparency of and availability of raw data, and therefore advocated for potential CHIM studies to only be conducted by public institutions of excellence. Transparency stimulates innovation, dissemination of knowledge and faster development. The World Health Organisation has also highlighted the need for data sharing, and the Indian Council for Medical Research has stated its intention to promote data sharing. For CHIMs, data must be made available to the wider community-this could be done by an independent oversight committee or mechanism separate from the involved research groups that has access to all data and releases it on request.